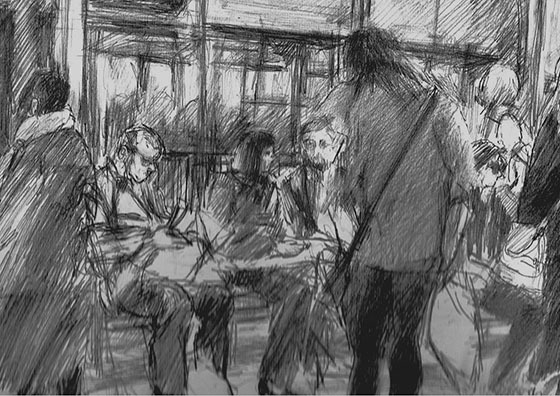 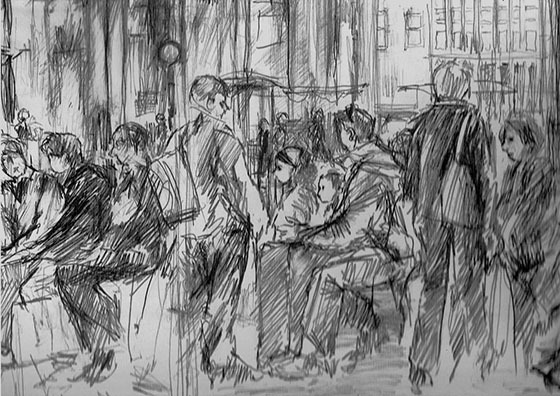 I concentrate on drawing people in public spaces. 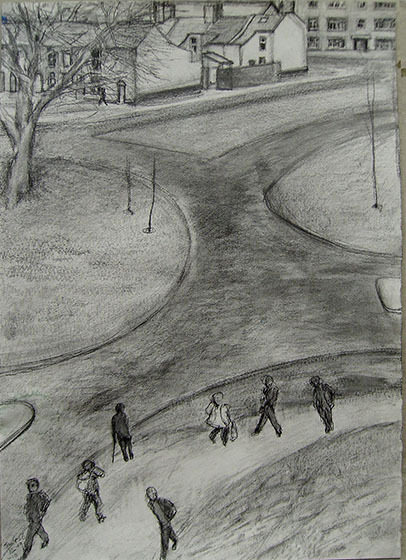 Most of these images are about the Forum Library and Norwich Bus Station. 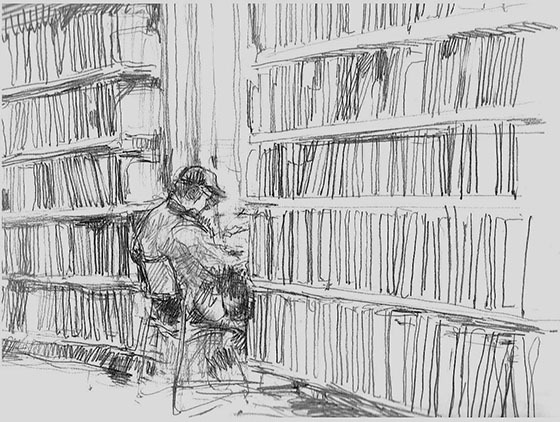 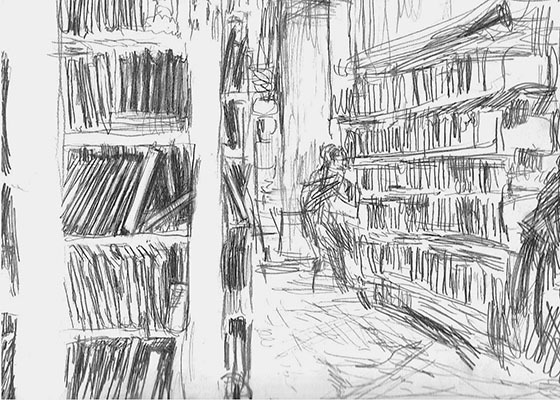 In the library I like the sense of people magically inhabiting their own worlds in a large, impersonal space, whereas, in the bus station, I want to depict the sense of time passing as waves of people gather, then disappear, to be followed by another wave. 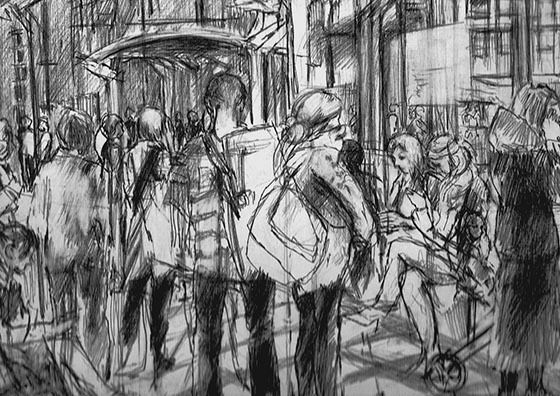 I return to these drawings several times and erase and redraw them until I think they are convincing. 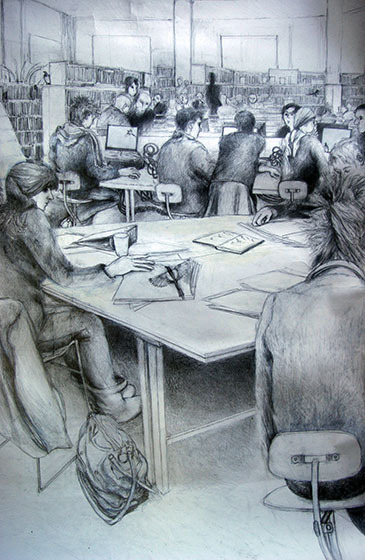 Forum 3 is a large piece, derived from many sketches made in the library; I imagined magpies moving in, occupying spaces and entering people’s thoughts. 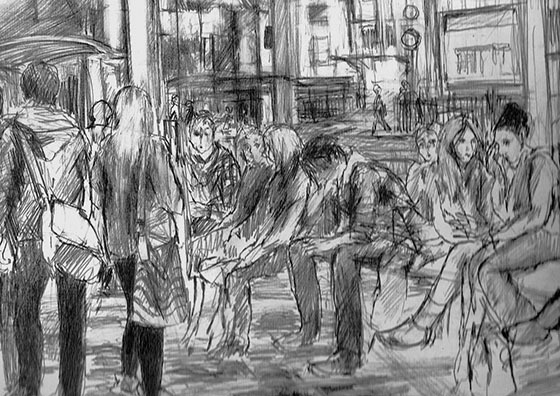 Mike Chapman and I run the 20 Group life drawing workshop; I love the challenge of life drawing, and have the sense that every new drawing is a fresh start.